Diabology is a rather extensive work of demonology, although that is not the only subject. Indeed, it concerns itself with everything dark within the Christian spiritual framework and, naturally, thus the contrasting opposites of those same things and ideas; for the demon there is an angel, for Satan a God, and so forth. Altogether the work is quite dense as well, and it is much more an academic guide than a casual work. 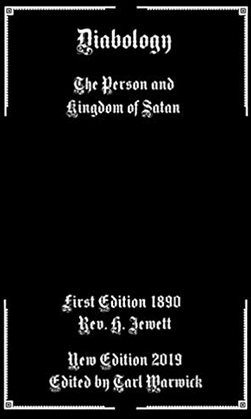 It is most interesting, perhaps, for its treatment of the very nature of good and evil based on the Bible, and elaborates at quite a lot of length on how this informs the Christian view of demons, including from a linguistic point of view. It should be noted that some footnotes were omitted because they merely replicated quotations in the main work itself in German or Greek. I retained the Latin because it is interesting. Author styxhexenhammer666Posted on March 1, 2019 March 1, 2019 Categories UncategorizedTags angels, books, catholicism, christianity, demonology, demons, diabology, good and evil, latin, literature, satanLeave a comment on Diabology: Now Available! 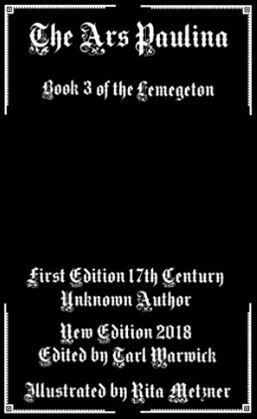 The Lesser Key of Solomon: Now Available! At long last it is time for the final literary release of 2018 and one of the most important grimoires ever concocted. Standing at 259 pages, it’s also full length. 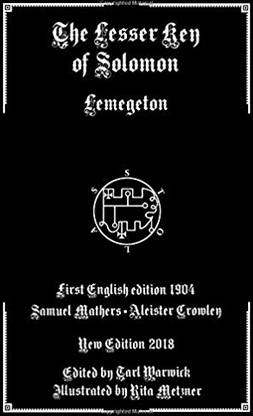 The Lesser Key of Solomon is actually a compilation of other works from the same era- the initial variant compiled by none other than Mathers and Crowley themselves contained five works- the Ars Goetia, Theurgia Goetia, Ars Paulina, Almadel, and the Ars Notoria (shortened to Nova in some variants.) The material is variable, beginning with the most demonic and then progressing through natural spirits, airy spirits, the angelic, and then the strictly divine. Author styxhexenhammer666Posted on December 12, 2018 December 12, 2018 Categories UncategorizedTags angels, black magic, clavicula salomonis, demonology, demons, great grimoire, grimoire, king solomon, lesser key, lesser key of solomon, lesser keys, renaissanceLeave a comment on The Lesser Key of Solomon: Now Available! 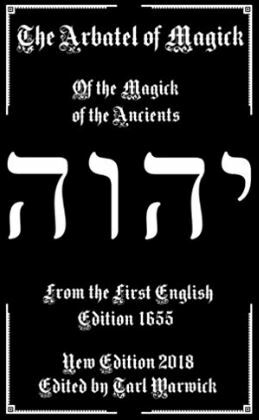 Arbatel of Magick: Now Available! This short grimoire is almost purely white magick; as a series of aphorisms in septenary form, it differentiates types of magick and some philosophy therein. This is one of the re-edited early works I crafted which needed a new format and never got an individual entry. It’s well written, and due to its largely positive, angelic content, largely escaped censoring through time. Author styxhexenhammer666Posted on May 14, 2018 May 14, 2018 Categories UncategorizedTags 17th century, angels, aphorisms, arbatel, arbatel of magic, arbatel of magick, grimoire, occultism, philosophy, summoning, white magicLeave a comment on Arbatel of Magick: Now Available! This is one of the four (true) works comprising the Lesser Keys of Solomon (the Notoria is not of the same era.) Less well known than the Ars Goetia, it is nonetheless 1. a distinct work and 2. important to the general tradition it is part of; specifically, it is an astrological work before anything else, which fails to give the sort of detailed list of powers for each of the angels it purports to allow one to summon. It is broken into two sections. The first details the angels of the hours and the second one the twelve signs of the zodiac. In both cases, seals are constructed and used with a complex table of practice in combination with several invocations. It’s quite a good work overall albeit shorter than the Goetia it shares tradition with. Author styxhexenhammer666Posted on May 10, 2018 May 10, 2018 Categories UncategorizedTags angels, ars paulina, ars paulina amazon, art pauline, books, demons, goetia, lesser key, lesser key of solomon, lesser keys, solomon, summoningLeave a comment on Ars Paulina: Now Available!